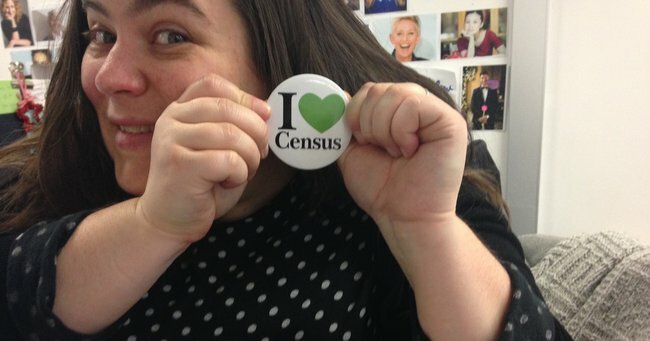 Data linking and retention central to criticism of 2016 census. Just shut up and fill in the damn census. It’s basically Christmas morning for nerds, people. Yes. Tonight is census night, and the Australian Bureau of Statistics is billing it as our national moment to ‘pause’. Woohoooo! It’s a non-violent, animal-cruelty-free race that will quietly stop the nation. Some people, people that a girlfriend of mine describes as “numpties with a Snowden complex” are planning to leave the name and address section of their census form blank, and a number still are planning to boycott the census altogether. Because they don’t like the idea that the government will know the basic facts about you – your name, your age, your address, and a range of other important demographic indicators that will help plan for our nation’s future. There are a number of things about this that I find somewhat baffling. The Australian Bureau of Statistics already collects your name and address data with your census information. Yes, that’s right. In 2011, the last time we did this, you were asked to supply your name and address along with the rest of information you supplied with your census. In fact, as part the very first census in Australia in 1828, the people of NSW were asked to supply their name and address. This is not a new request. Other critics are concerned about the security of the data collected in the census, specifically that having name and address and demographic data directly linked may leave members of the community vulnerable to identity theft in the case of a data breach. For two reasons. One, you can get enough detail to steal someone’s identity from a physical mailbox, or by hacking a Netflix account, or by simply looking at a Facebook profile in some cases. And two, the government already has all of that data linked. If you have a MyGov account (which is, by the way, the most frustratingly unusable piece of government infrastructure I have ever come across and please God, if you’re a member of the Turnbull Cabinet and you’re reading this FIX THAT FUCKER UP ALREADY) then you’ve probably already gone ahead and linked that information together yourself. If you don’t have a MyGov account (congratulations, by the way, on avoiding it and good luck for your future) then let me reassure you (yes REASSURE you, because this is a good thing) that there are inter-departmental agreements in place that allow for the transfer of your information across government agencies. For example, if you’re not enrolled to vote, the government can cross match a bunch of data from agencies like the tax office, Centrelink and Medicare, work out who you are, how old you are and where you live and then automatically enrol you to vote. You can’t escape it. And nor should you want to, if only for the sake of efficiency. Seriously, unless you don’t have a Medicare card, a tax file number or you’ve never applied for Centrelink, if you’ve never been to school or university and never had a job, the government already knows your name, your address, your age and any of the other details about your life that you seem to think are pretty juicy. In other words, shut up about the damn census. Fill your form in, enjoy your part of the national ‘pause’ and stop ruining my nerd Christmas.